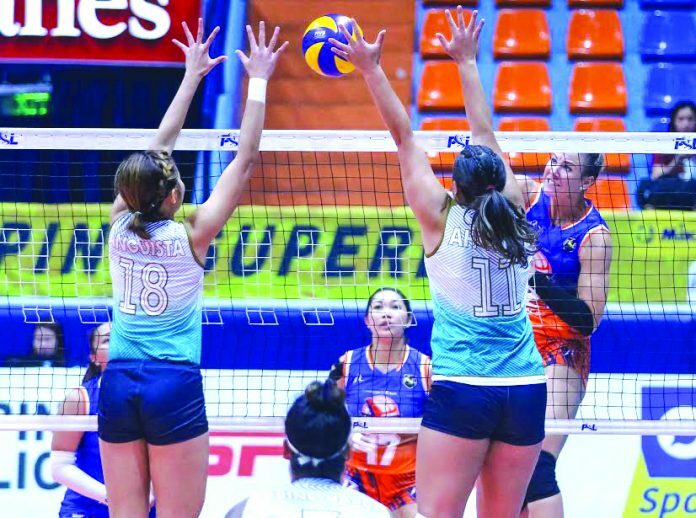 MANILA – Generika-Ayala Lifesavers recovered from a set down to beat United Volleyball Club, 25-23, 21-25, 19-25, 27-25, 15-12, in the 2019 Philippine Superliga Grand Prix last night at San Juan Arena. Thai import Kanjana Kuthaisong finished with 19 points, while Ilongga Fiola Ceballos added 16 markers for the Lifesavers, which cruised to its second straight win to improve to 3-7 win-loss card. 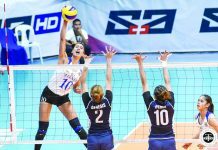 Mikaela Lopez and Angeli Araneta combined for 17 markers for the Lifesavers, which eke out the victory despite losing starting middle blocker Marivic Meneses due to an injury. With the match extending to five sets, Kuthaisong and Araneta delivered the crucial hits that put the Lifesavers ahead, 10-6, but the United VC countered with a run to force a tie at 12-all. United VC, however, gave up two straight errors to push the Lifesavers to match point at 14-12 before Kuthaisong unleashed a booming kill to clinch the victory for the Generika-Ayala.